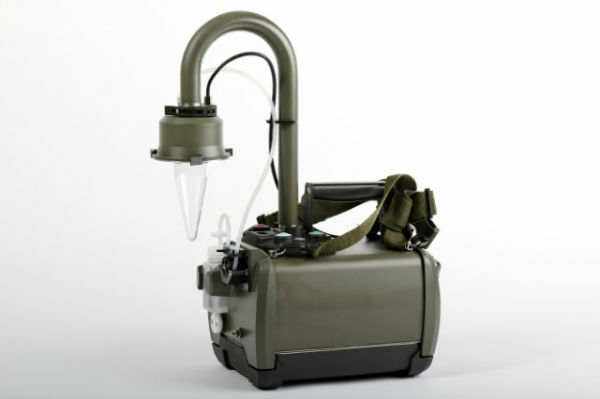 Coriolis Recon is a bio-aerosol sampler, dedicated to CBRN Recon teams or first responders, with quick deployment in case of bio-threat suspicion. It is efficient, portable and has been ruggedized for unfamiliar environment. Autonomous sampling: triggered by the operator wearing IPE; it can be used for mobile applications to rapidly obtain a sample and identify the biological threat. Biological sentry mode: for a long time surveillance of critical areas, Coriolis Recon can be set up in a standby mode, waiting for an order of a warning system.